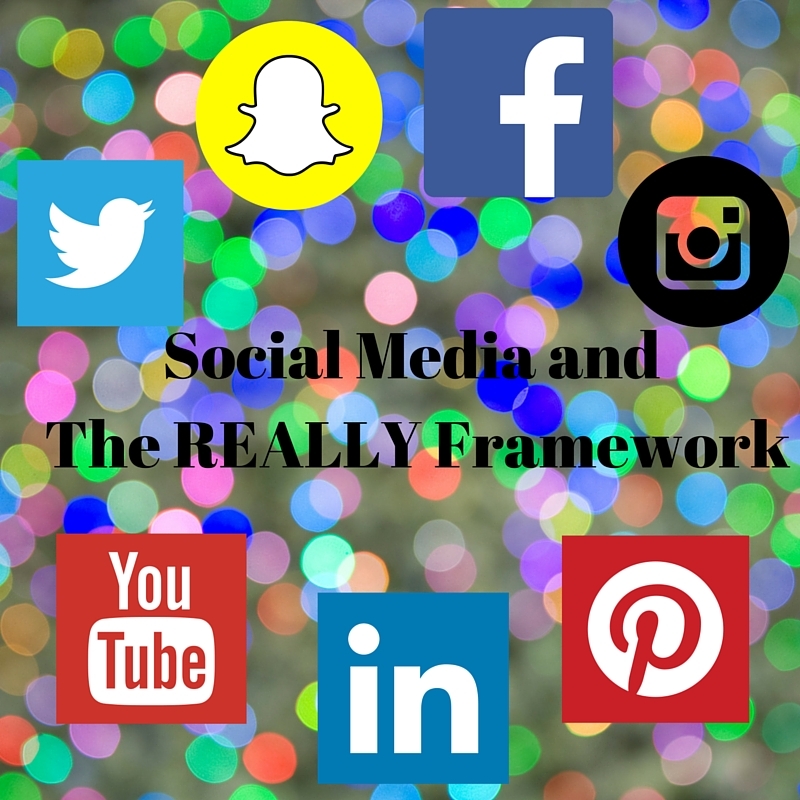 Success in Social Media: Use the REALLY framework!!! As a professional in today’s rapidly technologically changing landscape, I believe that we need to be constantly learning the new ways to be current. I realized that building a presence for my personal brand in social media was a must if I want to be part of today’s environment. However, is not about signing up accounts in all different platforms in one day that will accomplish it. It is a continuous process of different steps that help me built a presence in social media. So, how did I do it? I decided to use the REALLY framework develop by Dr. Leila Samii, PhD., which if followed continuously, it will help you be successful in social media. You first need to start by taking time to research about the culture of your audience, know which platforms to use and how to communicate with them. The PewResearchCenter.org is a great site that provides detail information about the channels your target audience is using. Then, determining who are your influencers and competitors in your industry so you can connect, engage and build conversations. Finally, taking the necessary time to analyze the data on your social platforms will let you know if your brand in social media is meeting your goals and objectives by engaging with the right target audience, influencers and competitors. The following steps and examples explain this process in more detail. During the first step, which is research, it is important to take the necessary time to research your industry, target audience, and influencers. For example, what are the current trends in the industry, what platforms are your audience and influencers using so you will be able to reach them and communicate your message by telling your story. For example, if you are a professional trying to build your personal brand in social media, you can start by searching in the different channels for keywords about your industry. As shown below, Hashtagafy.me allowed me to search for influencers as well as competitors in my industry that are populating Twitter by finding hashtags associated my industry. Once you chose the social media channels to build your presence, make sure you make a commitment with yourself to become very active on your platforms by connecting, engaging and building conversations with your target audience, influencers and consumers. For example, I opened an account on WordPress and started writing your own blogs about my industry. Sharing this content will a) identify who I am, b) allow me to connect with others in my industry and audience, and c) show my expertise. It is critical to deliver the same consistent tone and message about your image and brand that the other platforms convey. This is the foundation of consistency. Using Twitter for micro-blogging really allows you to connect and engage with your audience and influencers. The example below shows one member of my community re-tweeting and sharing content about my expertise. Thus, if you are a company, engaging with influencers and consumers, will allow you to create brand advocates. In addition, connecting with your target audience will also allow you to create user generated content (UGC). Taking the time analyze your brand, the target audience, influencers and competitors will allow you to adapt or make changes as needed. There are many different tools available that will create meaning to what is happening in your channels to reach your goals and objectives. For example, using a tool like Audiense, can let you know at what time is my target audience most likely to be active on the platforms so you can optimize connecting and engaging with them. It is also important to recognize that the conversation in social media goes on without you. Therefore, you can’t control the conversation but you have the ability to be part by listening and learning from what is being said. 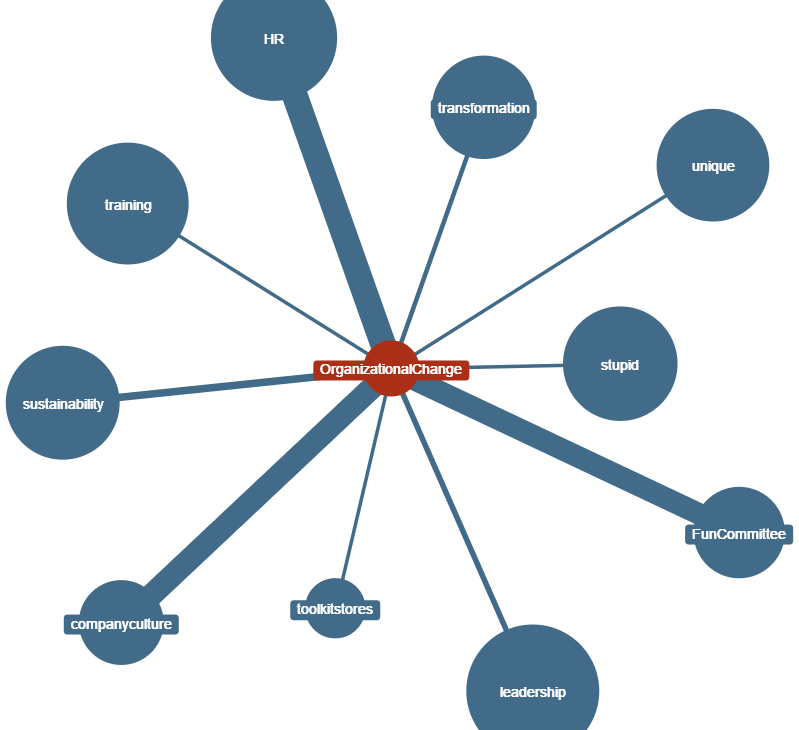 A great tool that shows the sentiment towards your brand, is Social Mention. It can be very helpful in learning if you need to fix any negative comments. However, it is important to also know how to read the data given that a negative word maybe not be related to your brand. Thus, knowing that control in social media has been shifted to the consumer and it is not completely owned by the company anymore creates a higher must on having a presence in social media. Establishing a clear and consistent brand image across the different platforms will avoid confusion or doubts in your authenticity. It is important to adjust your message depending on the media channel and integrate your social media with your traditional media to meet your objectives and goals. Leveraging user generated content (UGC) will allow you to create user generated branding which involves your target audience to create your brand. A great example is how Texas Tourism asked their audience to participate in a coloring sweepstakes. People responded by sending amazing images of their colorings. As a final note, make sure you are socially responsible and don’t forget to be yourself, interesting and authentic. Again, remember that our current business landscape is very dynamic and rapidly changing. Therefore, you should always be constantly looking at all the steps of the REALLY framework so you can adapt or make changes, if necessary, to your social media marketing strategy.